One ounce gold bars are a favorite among gold investors the world over. Gold trades in denominations of 1 ounce, so the value is well understood and well recognized among people everywhere of every country and nationality. 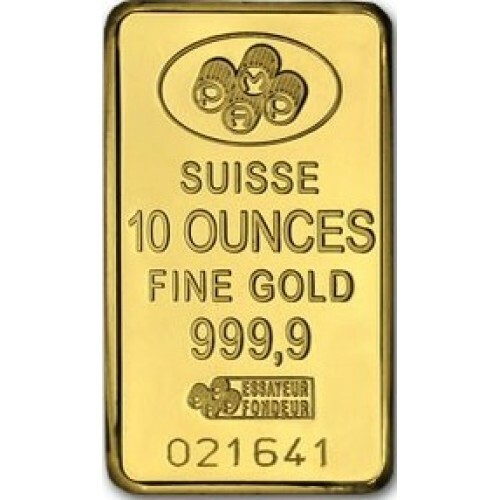 These bars are .9999 (99.99%) pure and are stamped with a unique serial number and their weight. 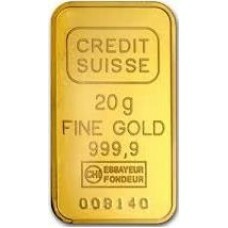 Smaller than most new gold investors will realize, this compact bar is easily transportable or even hidden. 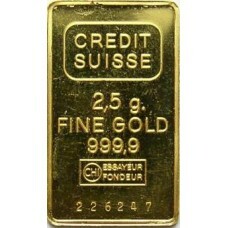 Issued by the Swiss National Bank, they are approved by banks the world over as an authorized gold deposit. 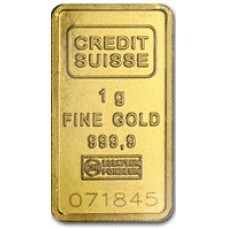 Ten ounce gold bars are significantly more valuable than one ounce gold bars (ten times as valuable to be exact) but they still are very compact. Gold is one of the heaviest elements on earth, and the density is immediately obvious when you handle this beauty. 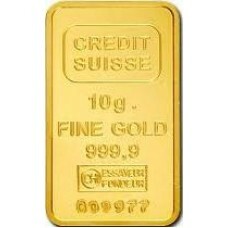 As is true with all our gold, this is certified at .9999 (99.99%) purity. A unique serial identifier marks this as an issue from the Swiss National bank. For larger accounts, 10 ounce gold bars allow a slightly more efficient way to store large quantities of gold without sacrificing portability or the ability to easily exchange this for cash or payment. One gram gold bars are small, but very useful. One gram is equivalent to 0.0321507 troy-ounces. About the size of a microchip, this bar is extremely useful as a medium of exchange. At a gold price of $1,350 an ounce, each gram is worth approximately $43.40. If you ever envision paying for goods or services in gold, or if you need to exchange small amounts at a time for currency, the gram bar gets it done because of its small denomination. Extremely easy to transport, these bars are .9999 (99.99%) pure just like all our bars. 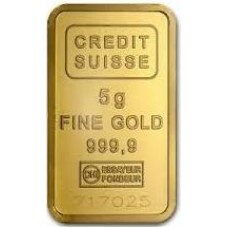 These bars are approved to be in good delivery by the London Bullion Market Association and the Swiss Bank. 2.5 gram gold bars take the one gram gold bar a little further. Noticibly a little thicker and larger than the one gram bar, they simply carry a little more heft and value. Each is worth a bit over $100 so it’s use as a medium of exchange is obvious. It’s also intuitive to estimate the rough value if you need to grab a bunch in a hurry. 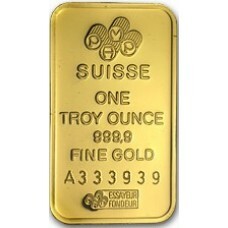 At current prices of about $1,350 a troy ounce each bar is valued at $108.51. It comes down to preference, but the 2.5 Gram bar is a great way to store your gold in a denomination worth in the neighborhood of 100 US Dollars. As always they are .9999 (99.99%) pure and marked with a unique serial number. 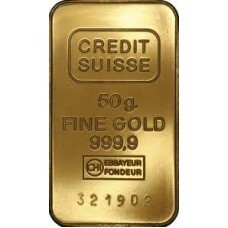 Our largest bar one kilo gold bars are minted in the United States and all over the world. 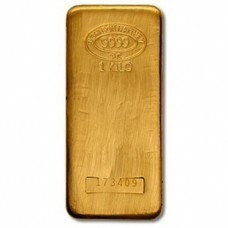 One kilo gold bars offer an ideal investment advantage due to the low premium over spot gold. One kilo gold bars are typically favored by investors that are looking to buy large amounts of gold. They are recognized worldwide and therefore are very liquid. Each bar weighs in at one kilogram which amounts to 32.1507 troy ounces of .9999 pure gold.